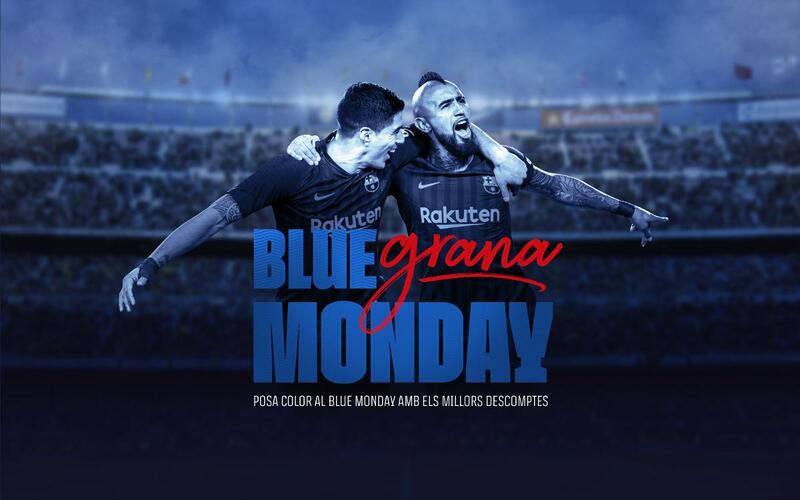 Barça is turning Blue Monday into Bluegrana Monday! The saddest day of the year is now much happier with thise special deals, which can be obtained with the promo code BLUEMONDAY, the key word to get discounts on football and basketball tickets, plus the Camp Nou Tour and the Ice Rink! - 30% off for Barça vs Valladolid in Week 24 of La Liga. Code valid for purchases made through the website. - 50% off for Barça Lassa vs Montakit Fuenlabrada in the Liga Endesa and for Barça Lassa vs Baskonia in the Euroleague. Code valid for purchases made through the website. - 50% off for the Basic Tour and the Camp Nou Guided Tour. Code valid for purchases made through the website. - 50% off for the Ice Rink. Offer available only at the Camp Nou ticket office. Bluegrana Monday starts on Monday, January 21 and ends on Sunday, January 27. Don't miss it! TAKE ADVANTAGE OF BLUEGRANA MONDAY!